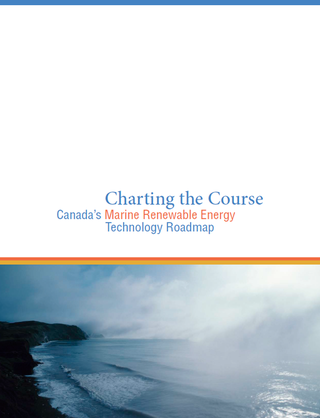 Canada’s Marine Renewable Energy Technology Roadmap was published by Marine Renewables Canada in 2010. The report presents the vision of Canada's ocean energy industry and the means of achieving the goals focusing on the development of the industry rather than concentrating on research and development of technology. The Policy and Innovation Group were reviewers and advisers for this document.